The goal of this course is to provide learners with information they can use to build their research based management skills to run their ABA practices. Designing interventions and supervising the implementation of interventions and administrative tasks, including managing financial aspects in order to stay in business and provide services, is challenging. 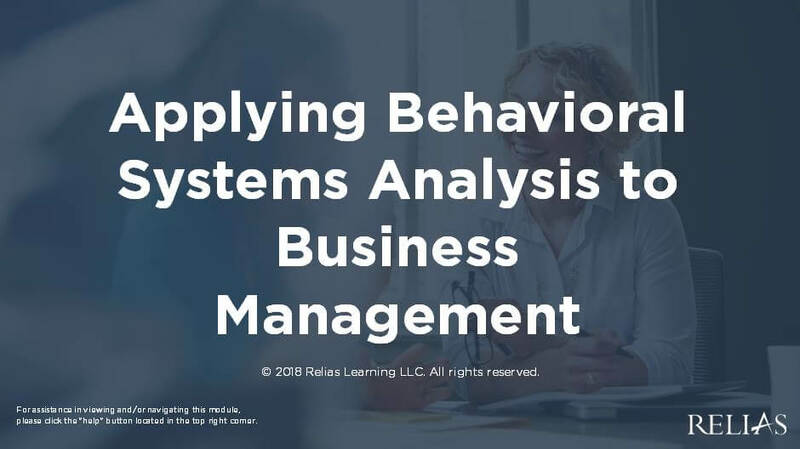 This course will present management strategies based on the fundamental principles of behavioral systems analysis that will help you manage staff and basic ABA business operations smoothly and efficiently. Describe behavioral systems analysis in terms of both behavior analysis and general systems theory. Describe how to apply the fundamental concepts of behavioral systems analysis to manage performance of those providing direct service to individual ABA clients. Utilize strategies based on behavioral systems analysis to solve day to day practice management problems.